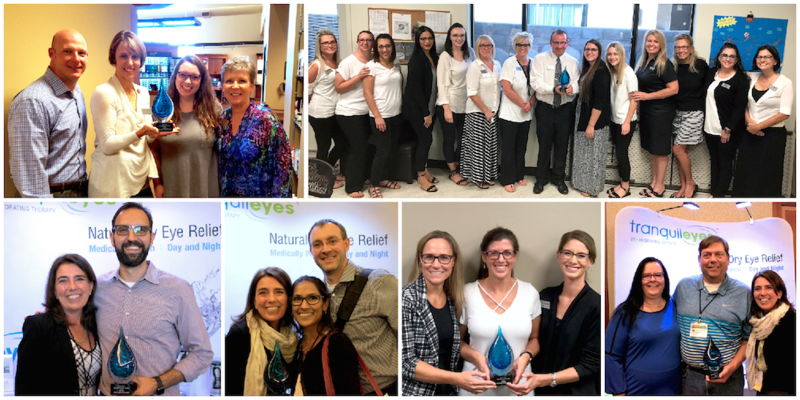 At Eye Eco we want to highlight some of the doctors who are as committed as we are to helping dry eye patients find relief. That is why we started a new campaign to acknowledge doctors by presenting them with Eye Eco’s Outstanding Dry Eye Practice Award. Dry eyes affect more than 40 million Americans, but less than 5% of people have been properly diagnosed with Dry Eye Disease. Dry Eye Disease can cause many health issues including obscured vision, dry skin, and even blindness. It can be caused by many things – including time looking at screens. For most of us that activity isn’t going away anytime soon. Eye Eco is dedicated to finding natural solutions that provide relief from dry eyes. We use the latest studies and findings to develop our products and then test them. All our products are proven effective. Dry eye can have several causes, figuring out the cause is an important step in finding the best treatment option to relieve dry eyes. That is why regular visits to an eye care professional are so important. Optometrists and Ophthalmologists do incredible work to make sure we can clearly and comfortably see everything in our lives. 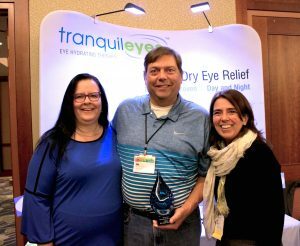 Some of them go above and beyond when it comes to treating dry eyes. 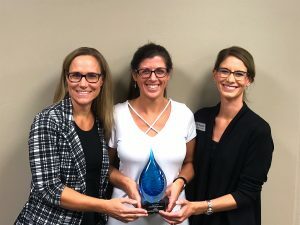 The Eye Eco Outstanding Dry Eye Practice Award is presented to eye care practices that are dedicated to treating dry eye and helping patients find relief. 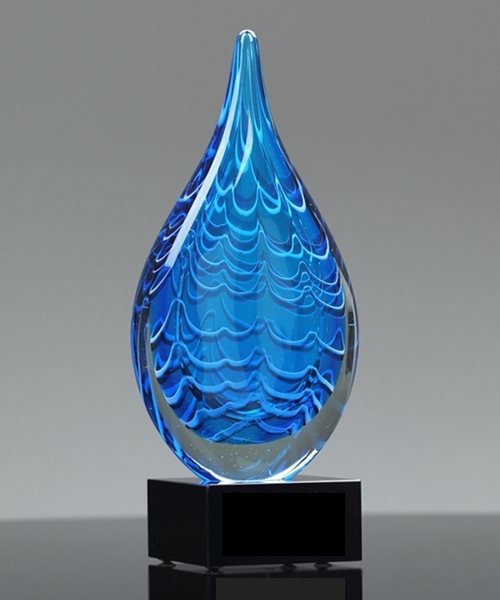 Each recipient of the award receives a stunning hand blown glass sculpture in the shape of a tear. 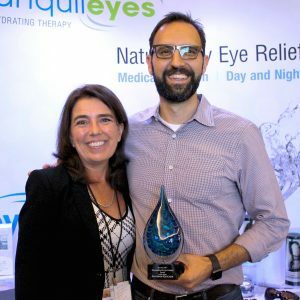 We asked the doctors what they thought about winning the award and treating dry eye and here are some things they shared.